Out of several activity and lifestyle trackers I have selected four significantly different ones to provide a concise review of their benefits and limitations. Hopefully this can help assist in your potential purchase decision and adaptation into your wellness routine. The fitness industry today is moving at a pace that can be hard to follow. As technology advances faster than we can keep up, it is no surprise that fitness is becoming inundated with this techno-evolution. As a fitness expert and exercise fanatic I continue to have great interest in reviewing what works, what enhances our lifestyle and ultimately what gets people motivated to move more. There are more activity trackers today, than I can keep track of and every quarter it seems there is another evolution in tracking our health and fitness. Do we really need all this technology to lead healthy lifestyles? I do admit that the added accountability and awareness these devices provide can do wonders for initiating a positive change in current lifestyle habits. Many of them have become key tools to improve sleep patterns, promote less sitting and encourage more activity. This evolution was a big step up from the FitBit Charge, although the Charge is a well functioning activity tracker with a decent price point for its capabilities. Ease of Use. To me this is one of the simplest to understand in terms of its touch screen and the associated app display. The app view is clean, simple and provides you a wide array of data. Built in Heart Rate Monitor. Having a heart rate reading allows you to gain an estimate of your workout intensity, establish training zones, track how many calories your burning and in addition to provide your daily resting heart rate. Good for goal setting. The app interface has an easy to use goal section that allows you to set goals on your daily steps, calories, distance, floors, elevation, active minutes, exercise, body weight, calories eaten, water intake and even sleep. I particularly like how the sleep tracking is automatic and doesn't require you to select it each night before bed. I also really enjoyed waking up to the silent alarm -- a vibrating wrist is far less abrupt at 5:30 a.m. than a blaring alarm clock. Built in GPS. Because the GPS is built in, you don't require an external device to measure your running and route metrics. This is a nice feature for those who just like to get up and go without having to take their phone. I personally find it motivating to see my route and associated metrics like time, distance and elevation from a previous run then trying to beat the time taken to reach specific landmarks. Motivational Challenges. If you're the techy type that likes to stay motivated by numbers, the app allows you to stay motivated by competing with friends through a variety of Fitbit Challenges. Wrist-Based Heart Rate Monitor. I'm still not completely convinced on the accuracy of the wrist-based heart rate monitoring technology. 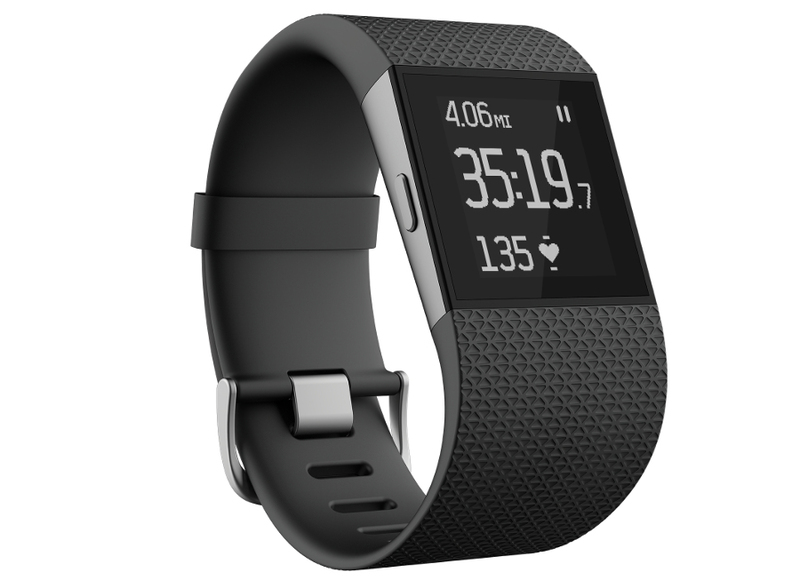 I personally found that the Fitbit Surge measured better accuracy at lower exercise heart rates and with continuous running than it did with high intensity strength or interval workouts. Battery Life. I found the battery life to be less than the indicated seven days based on my usage. Although you're looking at about three to four days with average use of the exercise and heart rate monitoring, it's not bad considering all the functions and tracking available. Much more than just an activity tracker, the Apple Watch stands true to the Apple brand with its 'wow' factor and seamless set up that pulls all compatible apps directly from your iPhone. If you're an Apple user, you are at least intrigued by this sleek new device. Packed with Features. One of the unique features aside from the convenience of reading texts and e-mails is that the watch also allows you to summon Siri and make and receive phone calls right from your wrist. Another plus for me, is the remote camera feature - amazing for your fitness selfies and group shots where you can actually be in the picture with the group! You simply set your iPhone up where you want it, click on the camera app on your watch which then acts as a viewfinder; from there you tap to snap a pic and can even put a 3sec delay. Brilliant. Display. From an activity tracker standpoint Apple keeps in pretty simple with a circular display of 3 main goals: Move, Stand and Exercise. Different color rings associated with each of these daily goals provides you a visual of how well you are doing throughout the day as well as alerts on when you have come close to and attained your goals. I also really like that there are other third party apps that work with the watch currently that can help you track nutrition, exercise etc. Built in heart rate monitor. This tracker ditches the sweaty chest strap of traditional heart rate monitors and measures blood flow at the wrist (although accuracy of this method in comparison has been challenged). No Sleep Tracking. There are some missing elements for me with the Apple Watch from a health and fitness perspective, however; the one big positive is that Apple is always evolving. Blood pressure and sleep tracking in addition to increased third party compatibility are very likely additions to come out in the near future. Battery Life. 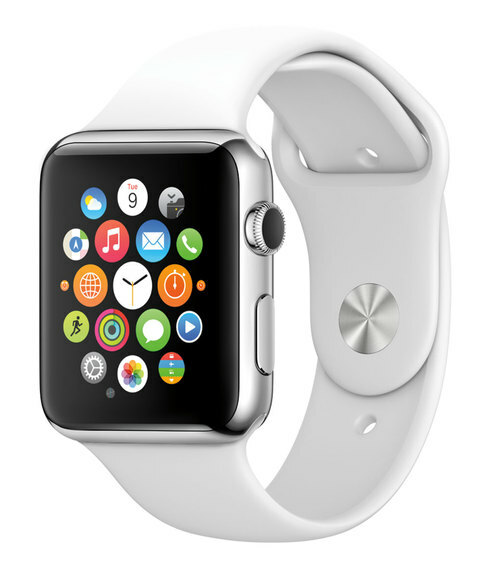 Because this powerful little watch does so much, don't expect to go days without charging. Battery life on average is around 18 hours so be prepared to charge nightly. Not such a big deal if you make it a habit. No GPS. Because the unit itself doesn't have GPS, you'll have to take your iPhone with you on your run if you want accurate measurements of distance, pace and route mapping. Battery Life. Wow -- with a battery life of four months, this activity tracker is much more like a regular watch in terms of its battery as it requires battery replacement versus regular charging. Waterproof. For those who like to keep their tracker on in any condition and enjoy swimming as an activity, the Shine states that it is waterproof up to 50ft. Activity Tracking. Good tracking features in a very small package. The unit tracks steps, calories and distance as well as sleep. Weak App. The app provides no real notifications for motivation and the point system falls short for me. It also doesn't integrate with any other apps. Display. ...or lack there of. I am personally not a fan of the simple LED lights instead of a numbered display, which would provide real-time feedback without having to go into the app. In addition, having to tap the tracker to get feedback throughout the day as opposed to a touch screen or numerical display fell short for me. I also found that I was unsure whether the Shine was recording my info or not at times. Tracking Accuracy. I found that out of the trackers I have reviewed, this unit seemed to be a little slower syncing and I had to question the accuracy of the data being recorded. The App. Great integration with existing Runtastic Me and Runtastic GPS app for running, cycling and other fitness activities. Good display of stats on distance, pace, time, elevation and route mapping. Ultra Waterproof. 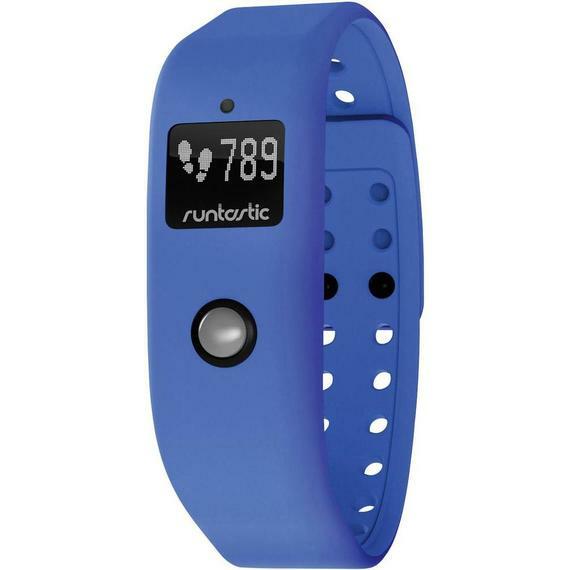 Claiming up to 30 feet, the Runtastic Orbit definitely suits those who like to submerge themselves. 24 hour tracking. 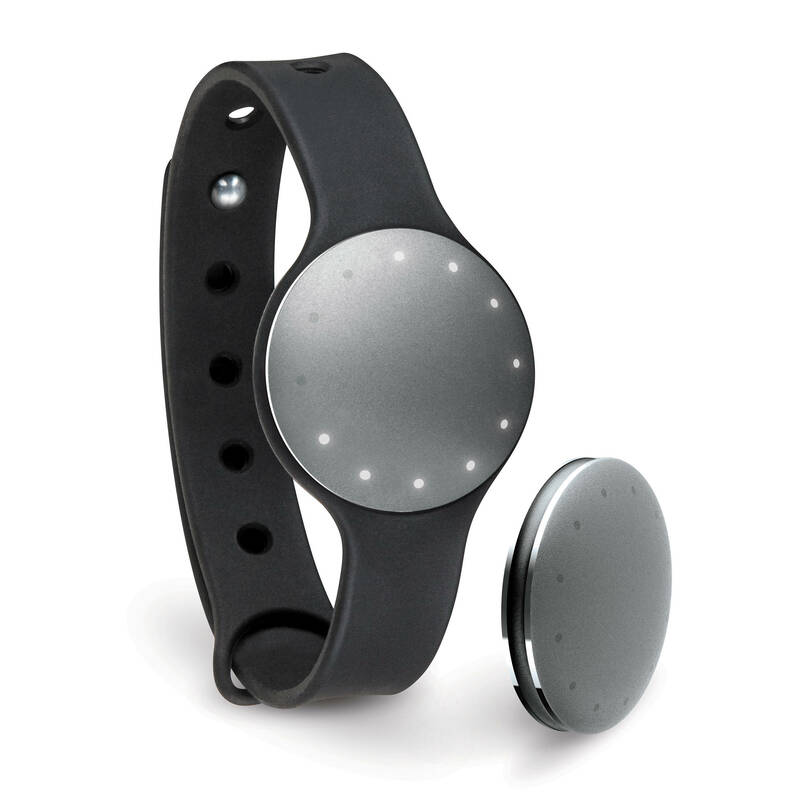 Tracks your activity and sleep cycles around the clock. Wearing options. The Orbit comes with a wristband or belt clip option for those who prefer to keep their wrist free. Look & Feel. This tracker is quite bulky and unattractive to wear. It's probably a good thing that it comes with an option to clip it. Tracking Options. Although quite good for running and other fitness activities, this tracker fall short with the lack of ability for logging food, tracking calories and measuring heart rate. Also, the Runtastic doesn't allow you to track weight, which for those with weight loss goals may be a negative.